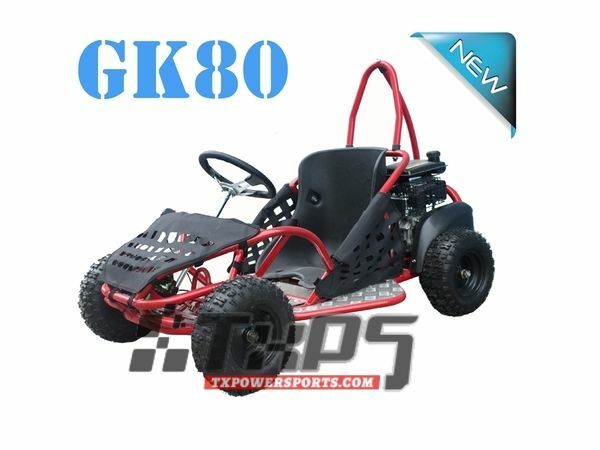 Why break the bank on a department store toy ride-on with plastic wheels when you can get the real thing with the new GK80 child-size gas go-kart? 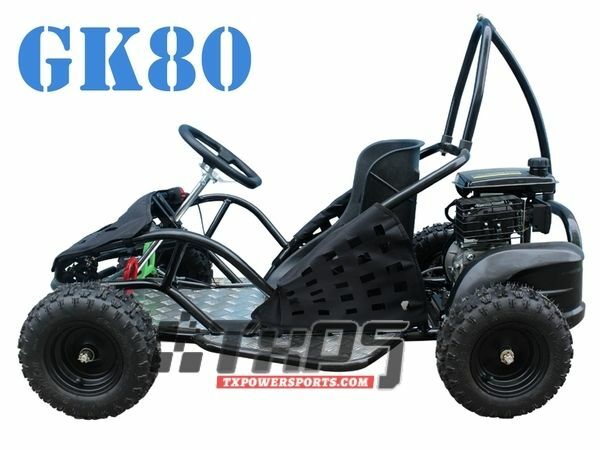 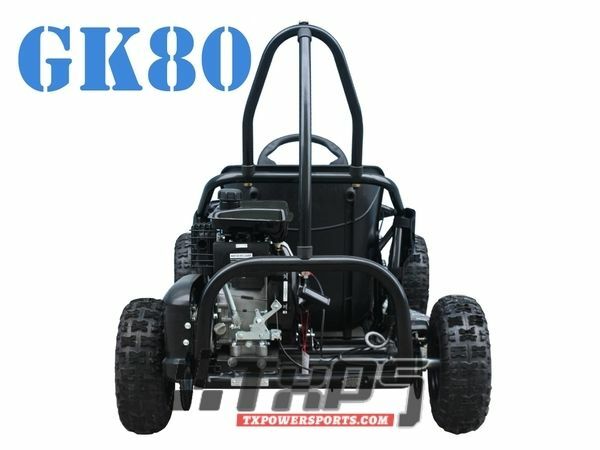 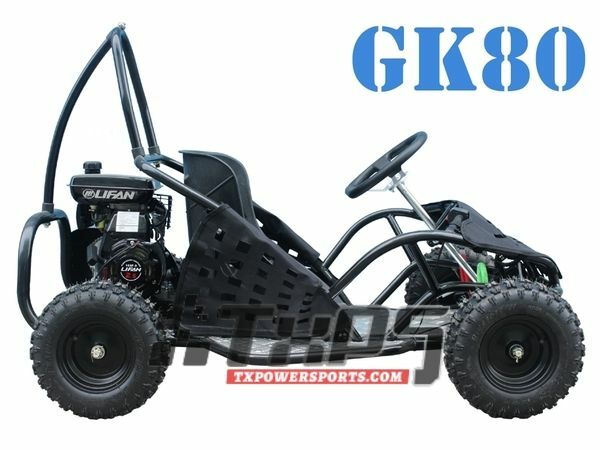 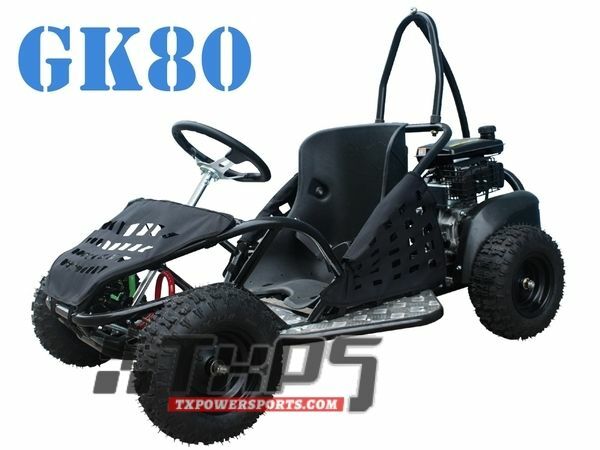 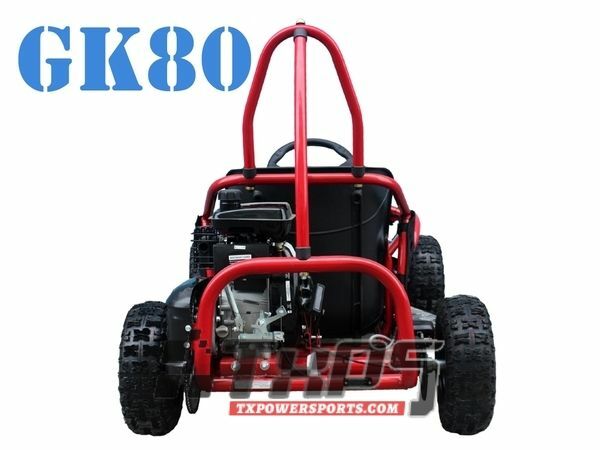 The GK80 features an 80cc air-cooled, 4-stroke Lifan engine, automatic transmission and rugged steel frame. 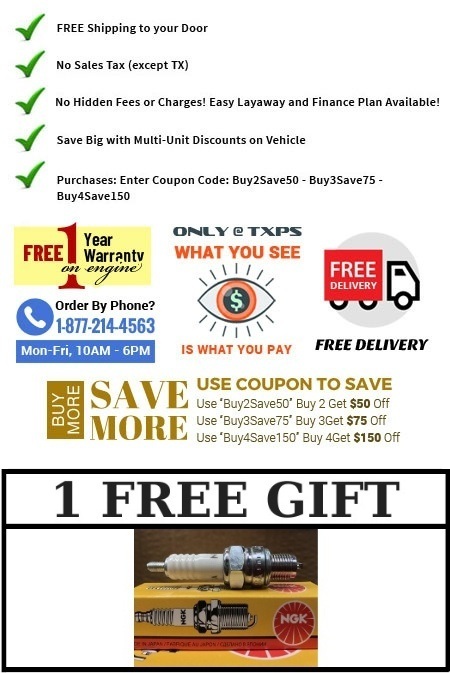 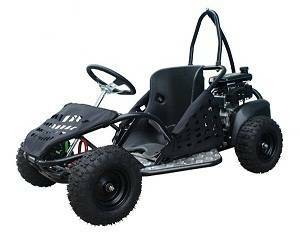 And unlike those all-plastic PowerWheels toys at the big box stores, this kids gokart is the real deal through and through, from its pneumatic tires, chain drive, and disc brake to its all steel steering linkage, safety netting, metal floor and wrap-around sport bucket seat! 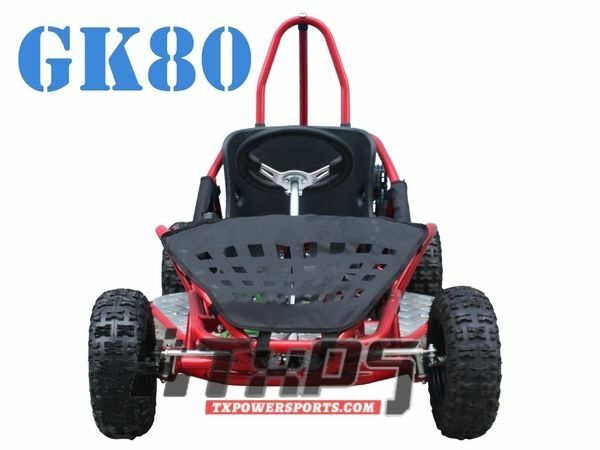 This kids buggy is built to last. 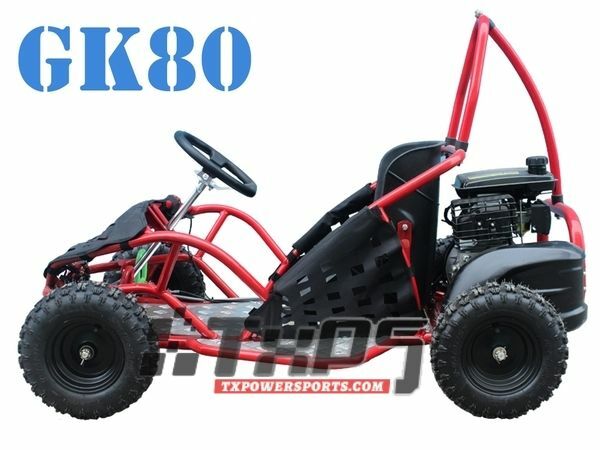 Pick your favorite color!